Ripple Foods are the creators of the popular pea protein milk that got big investors like Goldman Sachs. They also scored a deal to sell their pea protein powder exclusively at Target. Now, they’re releasing another target-exclusive plant-based milk that coffee drinkers in particular will be excited about: a barista style pea protein milk! These plant-based milks can be steamed, frothed, whisked, or blended to replace the dairy used in coffee. Because this barista style milk is made from their trademarked Ripptein (protein extracted from peas), each serving adds 6g of protein to a cup of coffee. Although it has a high protein content, it may not come with the chalky taste usually found in other high-protein products. Ripple says their Ripptein is purely extracted protein from peas without any strange taste. This milk can also be added to teas or hot chocolate for those who don’t enjoy coffee. The barista style milks are currently available at Target only. With Crissy Cavanaugh‘s Amaretto Coffee Creamer recipe, you can make your own dairy-free creamer in two seconds flat! Ok…maybe a little more than that, but not much! Love coffee creamers, but hate having to buy them? Rachel Hanawalt‘s Irish Coffee Creamer recipe uses common ingredients that you probably already have in your kitchen. All you need is an eco-friendly mason jar to shake it up it! 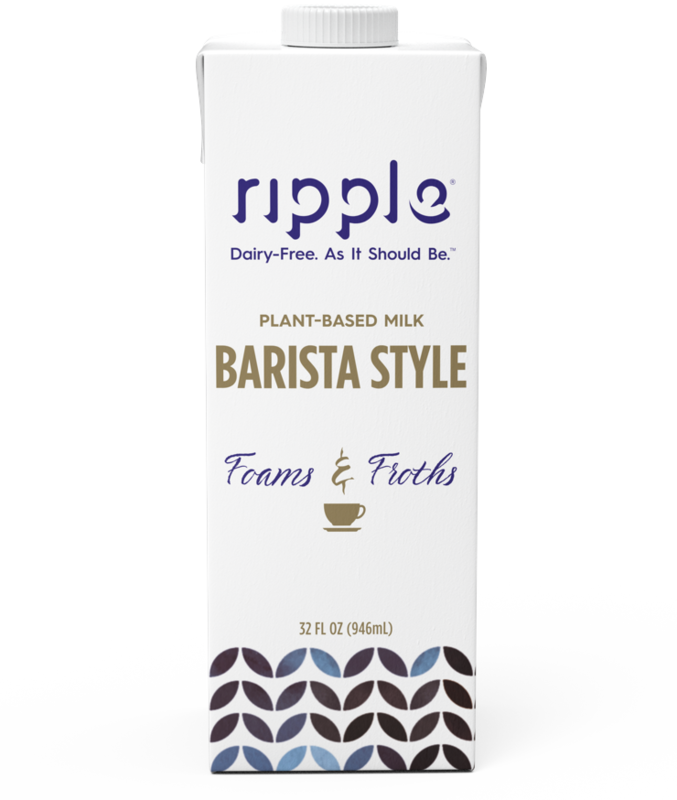 If you aren’t able to buy Ripple’s barista style milk, we hope you enjoy these tasty recipes. For more delicious recipes, download our Food Monster App where we have over 15,000 vegan and allergy-friendly recipes.